Yasuní is one of the most bio-diverse places in the world and home to one of the greatest genetic varieties of plants and animals on Earth. It spans nearly a million hectares of almost untouched primary rainforest and is situated in the Ecuadorian Amazon, predominantly in the province of Francisco de Orellana. It is thought to be a zone that did not freeze during the last ice-age, which began 2 million years ago and lasted up to 10,000 years ago. As a result, it became an island of vegetation where flora and fauna took refuge, survived and eventually re-populated the Amazon. 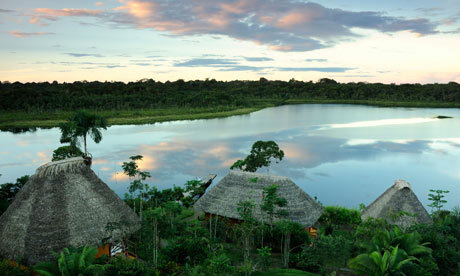 The discover of oil in Yasuni bought together the worlds environmentalists, governments, celebrities and individuals. The threat to the most biodiverse area on Earth had to be taken seriously. 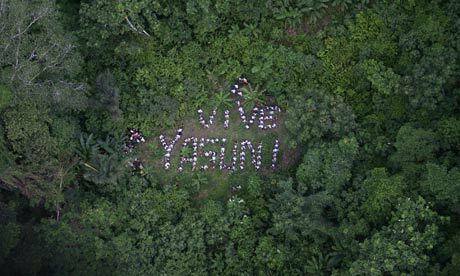 Has the world failed Yasuni? Just a mere $3 billion would save the jewel of our planet, the most biodiverse area on Earth. The world did not assist and the Ecuadorian Government has now said they will enter and drill. If only Bill Gates, Richard Branson, Bernie Ecclestone or one of the many others who have access to billions were to see this opportunity. They could die knowing they have saved the most precious place on Earth. As their businesses were built on the back of oil surely it is for them to stand up and help out. 850 million barrels of crude oil are left underground preventing environmental contamination through extraction. 407 million tons of CO2 will be prevented from being emitted into the atmosphere, creating a new method of mitigating greenhouse gas emissions, and there will be no oil and gas extraction from areas that are highly socially and environmentally sensitive in developing countries. The enormous biological wealth of the Yasuni National Park - considered by UNESCO to be unique in the world - will be preserved, along with the 39 remaining protected areas and indigenous and Afro-Ecuadorian areas in Ecuador, which host one of the largest reserves of biodiversity on the planet. Respect the indigenous cultures of the peoples living in voluntary isolation within the Yasuni Park. Social development projects will be implemented in the project’s area of influence, addressing health, education, and sustainable employment. 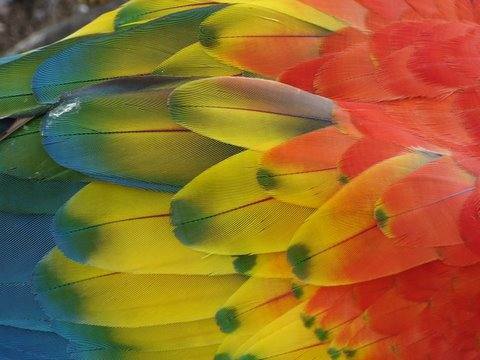 Support for Ecuador’s transition from an extractive economy, based on petroleum production, to a sustainable development model, with the widespread use of renewable energy sources, respect for biodiversity and social equality. The amount of CO2 emissions that will be reduced and prevented through the ecosystem conservation efforts, reforestation and the development of clear energy sources will reach one billion tons over the next 30 years. Supporters of the Yasuní 'crowdfunding' initiative say it could change the way important places are protected. An alliance of European local authorities, national governments, US film stars, Japanese shops, soft drink companies and Russian foundations have stepped in to prevent oil companies exploiting 900m barrels of crude oil from one of the world's most biologically rich tracts of land. According to the UN, the "crowdfunding" initiative had last night raised $116m (£75m), enough to temporarily halt the exploitation of the 722 square miles of "core" Amazonian rainforest known as Yasuní national park in Ecuador. The park, which is home to two tribes of uncontacted Indians, is thought to have more mammal, bird, amphibian and plant species than any other spot on earth. Development of the oilfield, which was planned to take place immediately if the money had not been raised, would have inevitably led to ecological devastation and the eventual release of over 400m tonnes of CO2. Ecuador agreed to halt plans to mine the oilfield if it could raise 50% of the $7.6bn revenue being lost by not mining the oil. While the world's leading conservation groups pledged nothing, regional governments in France and Belgium offered millions of dollars – with $2m alone from the Belgian region of Wallonia. A New York investment banker donated her annual salary and Bo Derek, Leonardo DiCaprio, Edward Norton and Al Gore all contributed. The idea of asking people to pay for something not to take place was widely dismissed by national treasuries as holding the world to ransom. The German development minister, Dirk Niebel, said that the principle of paying for the oil not to be exploited "would be setting a precedent with unforeseeable referrals". However, Germany has now contributed $48m in "technical assistance". The former Italian prime minister Silvio Berlusconi was widely criticised after he wrote off $51m of Ecuador's $10bn external debt as Italy's contribution. Other governments pledging support were Chile, Colombia, Georgia and Turkey ($100,000 each), Peru ($300,000), Australia ($500,000) and Spain ($1.4m). Supporters of the scheme argued that it could be a model for change in the way the world pays to protect important places. The money raised is guaranteed to be used only for nature protection and renewable energy projects. Nigeria, Cameroon, Gabon and other countries with oil reserves, have investigated the possibility of setting up similar schemes as an alternative to traditional aid. 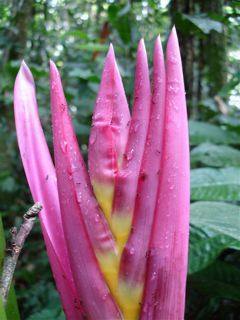 The biological richness of Yasuní has astonished scientists. One 6sq km patch of the park was found to have 47 amphibian and reptile species, 550 bird, 200 mammal and more species of bats and insects than anywhere in the western hemisphere. According to Ecuadorean scientists, it would take in the region of 400 years to record Yasuní's 100,000 or more insect and 2,000 fish species. Of the 63.4% of Ecuadoreans polled last month who knew of the Yasuní initiative, 83.4% supported it. Because of its location right on the equator at the junction of the forest and the mountains, Yasuní is one of the last places on earth which is truly undisturbed. 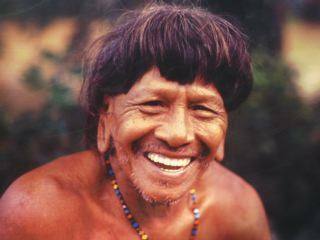 As well being home to the the Tagaeri and the Taromenane, two of the world's last uncontacted tribes. What to do with Yasuní was left to oil minister Alberto Acosta. A European-trained economist, he had spent years in the state oil company, was a friend of the president, Rafael Correa, and has long been part of Ecuador's political establishment. At the time he was an elected senator (MP), and president of the national assembly, and had helped rewrite Ecuador's constitution. But Acosta admits now that finding so much oil in Block 31 terrified him. "It is one of the last places on earth which is truly undisturbed. It is simply a paradise," he says. Acosta is one of the few people ever to have visited Yasuní but his dilemma was how to assess the full costs and benefits of drilling for oil there. On the one hand, the find presented the country with perhaps its last great chance to develop in the traditional 20th-century way, by building roads and industrialising. The money could be used for vitally needed housing, infrastructure, health and education. On the other hand, the former oilman knew drilling for oil would push the oil frontier far deeper into the Amazon, release 400m tonnes of climate-changing CO2 and make the total destruction of a vast and pristine area inevitable. "To extract oil on that scale from Yasuní," says Acosta, "would lead to contamination, deforestation, extinction of cultures and destruction of social structures. It would need a vast infrastructure including roads, river ports, tracks, airstrips. Villages would have to be constructed, pipelines laid and millions of tonnes of contaminated waste buried." In addition, Acosta also knew that the oil industry inevitably attracts corruption, violence and social problems when it works in poor countries such as Ecuador. "As with everywhere else in the world, the oil company roads will attract settlers in search of land and work, leading to more forest destruction. You only need to see the crime, pollution and poverty in Ecuador's other oilfields to know that to extract the oil [there] would mean the extinction of a paradise," he says. Acosta and his team, backed by scientists and non government groups, considered the options. "Oil is very important in a country like Ecuador. We have extracted 4.5bn barrels so far, which has given us around $130bn. We are at the top of the curve. We have consumed half and we have half our oil left. "But the reality is that oil has not brought development. 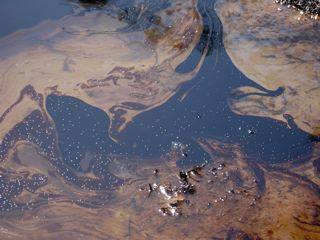 It has brought us immense contamination and environmental destruction. Since the 1950s the impact on people has been dramatic. Pollution and deforestation bring problems everywhere the oil is. Oil has not solved the problems of Ecuador. "I knew the oil industry. I could see the monster from the inside. I began to think perhaps we were poor because of our resources. I called it the curse of abundance. I thought we must have a less extractive economy. We want oil to be used to benefit the country, to transform living conditions." Acosta and the ministry prepared two plans: plan A was a revolutionary scheme to leave the oil in the ground in perpetuity in return for half of its value from the rich countries of the world; plan B was for business as usual. For the first time in history, a nation would seriously consider accepting a binding agreement not to extract fossil fuels. "We said that Ecuador should approach the world with a deal. We will leave the oil in the ground and save the forest and the people if you, the world, make a financial contribution. If countries and individuals put up just half the "value" of the 960m barrels of oil – around $3.6bn – in Yasuní then Ecuador would guarantee to leave it there," he says. The money earned from the world would then go to protecting Yasuní and Ecuador's other national parks and towards education and hospitals. Acosta's thinking was in fact a shrewd response to the economic phenomenon called "oil curse". Experience shows that developing countries who strike oil invariably stay poor. 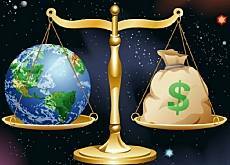 Rather than bringing wealth to many, it enriches a few, fosters corruption, encourages dictatorships and distorts the economies of nearly every poor country it has been found in. The story has been repeated from Nigeria to Sudan, Equatorial Guinea to Gabon and Angola to Venezuela. Plan A was received with scepticism in government circles, says Acosta. "But I debated it with the president, showed him the benefits, told him he would be seen as a global statesman." But crucially, it was backed strongly by powerful indigenous groups in the country, as well as the many social movements and the public. President Correa went along with it but at the same time has been enthusiastic about the oil. Acosta left the government in 2009 and is now a professor at the University of Quito and an open supporter of leaving the oil underground. "One day the president said yes, the next no. I received attacks, people I know lied to defend the interests of the oil companies, and tried to weaken my position." But polls showed that 90% of the Ecuadorian peoplebacked Plan A and it was endorsed by the Government. Last year the UN development programme declared Plan A to be a safe environmental investment, and agreed to administer the fund. If a down payment of $100m is made by December, the forest and the indigenous groups will be left alone. If the money is not found, then a Chinese company is expected to move in within months and the destruction of Yasuní will begin. So far, Chile and Peru have each donated symbolic amounts, Spain has given €1m and Italy has waived €35m in debt relief. Around $40m has been raised, and the Yasuní fund is backed by celebrities, statesman and Nobel prize winners, including Desmond Tutu, Mikhail Gorbachev, Leonardo DiCaprio, Rigoberta Menchú and Muhammad Yunus. The options for a life in Ecuador without oil from Yasuní are immense, says Acosta. "The money from the world can be used to protect Ecuador's other national parks, including the Galápagos islands. We have massive renewable energy potential but we use only a fraction of it. We should not export oil but energy. We need a massive reforestation programme. We should be investing in science and teachers. "We cannot bring mass tourism [to Yasuní] but we can have scientific research. It would be an opportunity for the pharmaceutical industry. What about making it a sanctuary for humanity and nature? It would be extraordinary. "We must understand that oil is unsustainable. We should be an intelligent country and see it in the long term. Climate change is a limit and we can't continue to burn oil. Perhaps we must change our model of life. What we have learned is that while we cannot live without nature, it can live without us."